Flachau, the home of ski star Hermann Maier, offers wide, well-prepared ski runs for every skill level. Ski down one of the family slopes or the floodlight ski run, or hone your skills on the world cup trail or the time trail. 21 ski huts and mountain restaurants invite you to relax for a while or some après-ski fun. The free city ski bus stops at hotel and the takes you to the ski area and back every 15 minutes. Learn more about your future ski holiday region. Flachau is at the centre of Ski amadé, Austria's largest skiing association. 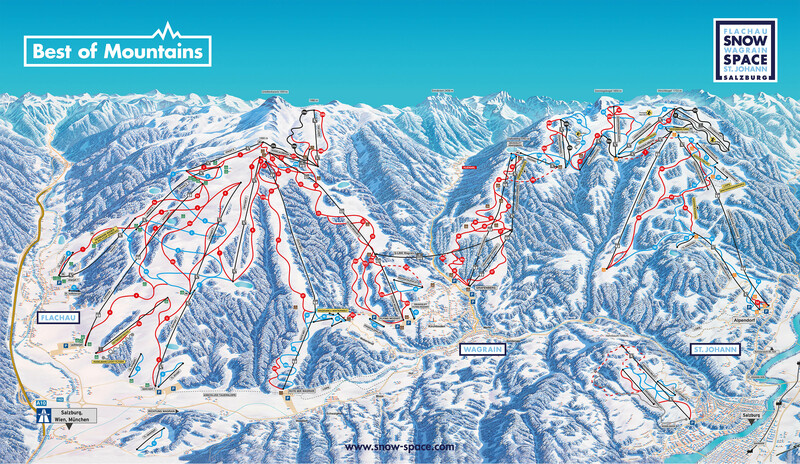 With a single lift pass, you have access to 5 top ski regions with 760 km of ski runs and 270 lifts.